Artificial Intelligence (AI) and cognitive technologies are making their presence known across the board for many different industries. For many companies, the biggest impact AI is making in their back office – their operations, HR, finance, and other activities that are in support of the business’ main lines of operations and activities. 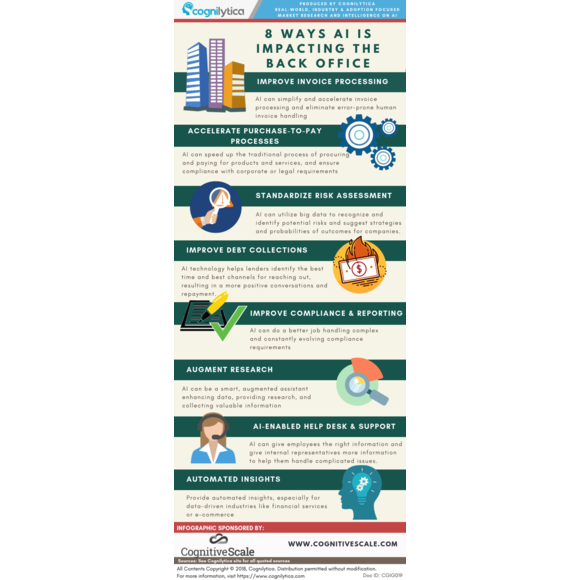 In this infographic, Cognilytica shares some of the top ways in which AI is impacting the back office.